Think “Carpe Diem: Seize the Day” when it comes to catering! When I was a kid in Montreal, Canada I used to walk around the block knocking on doors and ask to shovel sidewalks and driveways to make a few quarters. On one occasion, I actually shovelled the snow on my neighbours walkway before I knocked on the door. Luckily, I got paid anyways! Not bad considering I was only 10 years old at the time. In 1734, Richard Cantillon defined entrepreneurs as “non-fixed income earners who pay known costs of production but earn uncertain incomes”. I mention this because shoveling snow in those days, was the beginning of when I got the buzz of providing services for an uncertain reward. And while an element of risk is a fundamental part of entrepreneurism, I believe that the true essence of being an entrepreneur is carpe diem. 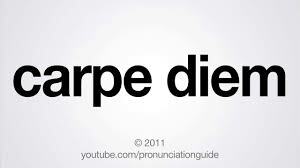 Carpe diem, to seize the day, is an old Latin saying that is commonly used in English and is a very important aspect of all business. In business, windows of opportunity rarely stay open for long so every second counts. At MonkeyMedia Software and the MMS Catering Institute we do our best to take hold of every moment because we know that you can never get back wasted time. Catering is the restaurant industry’s equivalent of carpe diem because, very much like a certain young kid walking around shoveling driveways, it brings our services directly to the customer. When you wake tomorrow, think carpe diem when it comes to catering out of your restaurants!